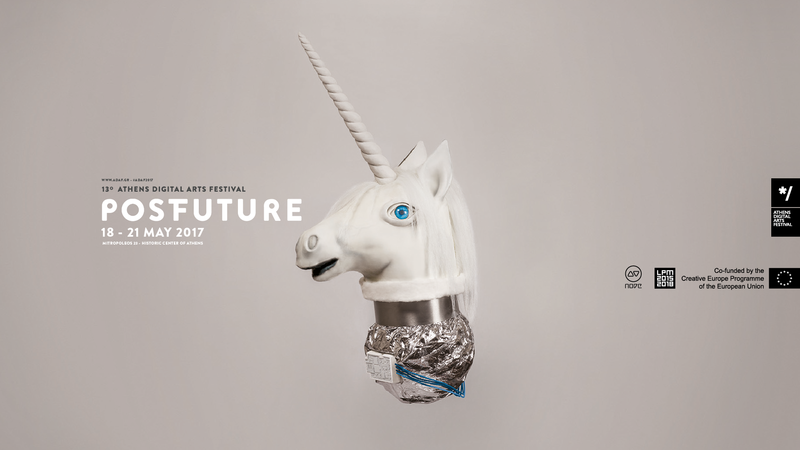 ADAF 2017, under the theme#PostFuture, invites all of you to imagine the future! Currently, we are witnessing how virtual reality widely interweaves with and affects every aspect of everyday life. While the contemporary way of life gets reflected on the merge of “digital” and “reality”, this year’s edition will explore the ways that technology and innovation affect and form the future of art and society. If the future is already here then what’s to come? More than 250 artists from 22 countries from all over the world, will demonstrate their point of view regarding the post future that is yet to come. ADAF 2017 aims to conjoin the artistic community and the audience in order to present the new and exciting “post-digital” reality, through an impressive and manifold programme capable of satisfying even the most demanding audience. The programme consists of interactive audiovisual installations, audiovisual performances, web art with the incredible speeds of COSMOTE VDSL, digital image, video art and animation screenings and participatory workshops for adults and kids. Moreover ADAF 2017 is hosting special guests and artist talks as well as presentations of international festivals such as Japan Media Arts Festival (Japan), MashUp Film Festival (France), ArtFutura (Spain), Imagine Science Films Festival (U.S.A), Videonale E.V. (Germany), Mapping Festival (Switzerland), VideoFormes Digital Arts (France). In the framework of The Greece-China Year 2017, ADAF 2017 and Microwave International New Media Arts Festival contribute to the promotion of Greek and Chinese artists. Each year ADAF forms collaborations with international media and institutions for digital arts. Under this frame, the 13th edition honorary presents the 24hour artist projection “Digital Canvas” that was broadcasted by IkonoTV in May 2016 and premiered in New York, during the Creative Tech Week (2016). Finally, ADAF and the international digital platform The PhotoPhore announced an open-call for artists under the theme #PostReality, intoducing a rich compilation of video-art short films and animation. Moreover, ADAF 2017 establishes a great collaboration with GERMANOS (Powered by GERMANOS). The Festival expands its horizons, introducing new technologies in the field of digital arts. ADAF and GERMANOS join forces and organize multiple important actions, such as the VR Creations Contest, presenting the first VR Gallery with artworks of the audience. In this edition, the festival has also enriched the kids program, ADAF Kids, offering to the kids and their parents the chance to explore the magic world of digital culture, through educational workshops, technological experiments, animation screenings and interactive installations. From 18 to 21 of May, ADAF will host talks and workshops such as the talk Museum Beyond The Digital by Bhavani Esapathi and the workshop Browser History Dating by Dries Depoorter as well as a tribute exhibition to the internationally famous Theo-Mass Lexileictous. The immersive installation Infinity Room by Refik Anadol will transgress the normal boundaries of viewing experience and transcend you in an trip through an infinite kinetic architectural space, while the audiovisual installation POV of Nick Verstand, Nikki Hock, Pandelis Diamantides, in a totally black environment will allow the audience to recapture their sensory self by placing them in an initial state of sensory deprivation, in the basement level of the venue. Thus, the programme of the audiovisual performances includes: the premier work Vector Field of the worldwide known artist Fraction, the impressive audiovisual experience THÆTA part of the trilogy StratoFyzika’s Shadows Trilogy, the award winning collective NOHLAB with their software NOS, the project FIELD of Martin Messier who creates sounds from the electromagnetic fields of the environment, the subversive performance Color Field Immersion by Doron Sadja, the “magical” performance Tanukis of François Zajéga and Loïc Reboursière as well as the renowned Corpus Nil of Marco Donnarumma.